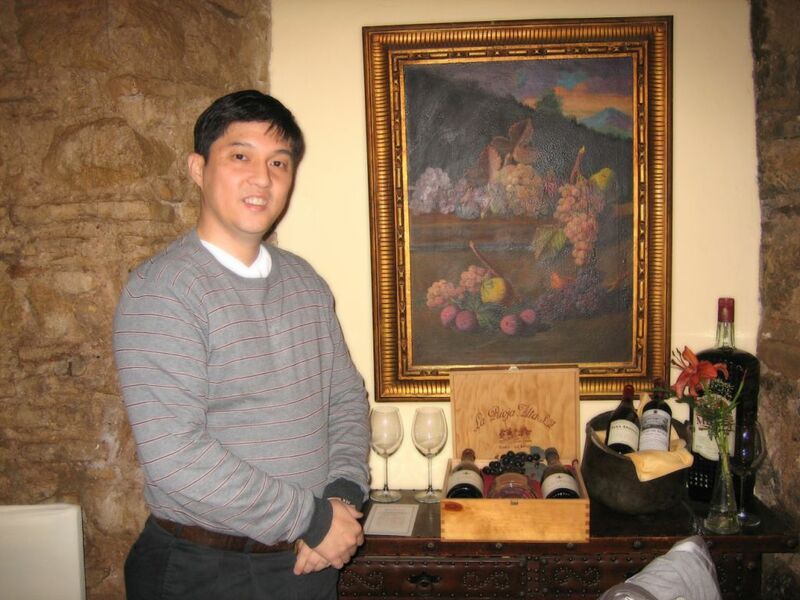 Wine Pleasures caught up with Buyer meets Spanish Cellar participant, Arthur Tan, Managing Partner of Wine Tatler in Singapore to find out how he got started in the wine business and why he is such a fan of the illustrious Bulls Blood. When was Wine Tatler founded and what was the company’s reason behind getting into the wine trade? Wine Tatler was incorporated in 2006. The Founders are Arthur Tan and Angeline Tan. Arthur and Angeline are husband and wife. Arthur used to work in Hungary, East Europe for several years in the early nineties. In the course of his work, he traveled to most parts of Europe, and made many friends. Understanding the history & culture of Europe and its people, he was a natural choice as a partner with Europeans who needed someone close to Asia. Arthur delves intimately into each winery’s history, philosophy & wine making techniques, before partnering them in Asian distribution. He gives regular training session for his clients in restaurants, hotels, & clubs, and occasionally does wine presentations at renowned venues like The Tower Club & The Pines. He is very popular with wine drinkers when he conducts private wine tasting as he gives a rendition of the wines & their origins in a straightforward manner. Arthur’s family is a family of business people. They are involved in different businesses e.g. wines, chain of restaurants, coffee & other beverages and other food products, and textiles, which allow them to see different perspectives and capitalise on many opportunities that come along. What is Wine Tattler’s specialty? Starting with Hungarian wines in 2006, Wine Tatler put a name to Hungary and its wines by marketing relentlessly in a region where Hungarian wines were unheard of, and won 12 awards in competitions within two years. Today, we are not only distributing Hungarian wines, but French, Italian, Romanian, and Spanish wines too. Can you give us a brief overview of what your customers are looking for, range wise and price wise? Also how do you reach out to your customers? Prices currently purchased from Euro 0,50 to Euro 20,00. In order to showcase our products comprehensively, Wine Tatler set up its own retail boutique in July 2008. Today, our Wine Tatler retail boutique is located at 501, Bukit Timah Road, #02-18, Cluny Court, Singapore (259760). In July 2011, we opened another boutique at Parco Marina Bay @ Millenia Walk which is an up-market shopping mall ideally situated in the business & banking district. There are about 400 plus exclusive labels in our boutiques. To increase out-reach to the retail crowd, we have partnered with several wine boutique stores to carry part of our wines e.g. World of Wines, Wine Gallery, The Standish Wine Retail, Wine Cottage, etc. Your portfolio currently carries a few Spanish wines, what will you be looking for at this year’s workshop Buyer meets Spanish Cellar? I am currently having wines from Rioja, Toro, Madrid, Bullas, and Castilla La Mancha. Therefore, I am keen to explore wines around the Catalan region, which is not common in Asia and Singapore. What type of wines do you like personally? To speak further with Arthur and many more international wine buyers attending this year’s Buyer Meets Spanish Cellar Workshop in Sabadell pencil 9-11th of November 2011 into your diary.